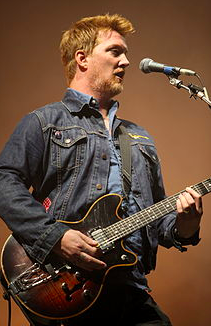 Josh Homme of Queens of the Stone Age, Eagles of Death Metal and Them Crooked Vultures uses a number of Australian manufacturer Maton's models, notably the BB1200 series. Maton has been making guitars in Australia since 1946. Josh has his own signature model, the Maton BB1200JH which features a Victorian Blackwood front and back, along with a Rock Maple neck. If you look back through country music history, no other instrument has shaped the sound of country more than the guitar. Most country artists got their starts by performing on stage at various Nashville, Rock Listener Starting To Like Country Tennessee bars with just their guitar and songs in hand. And when they made it big, the single thing that every country artist looked forward to is playing on The Grand Old Opry. Today that is still one of the greatest honors of any country star.